← Pinot Noir, Reserve, Mission Hill, Okanagan VQA, BC, 2012, 13% abv. Are you looking for a wine to accompany a charcuterie plate this holiday season? Pick this up some of this Fino. En Rama sports the palest shade of lemon, so light it’s almost water white. The nose exudes yeasty bread with green olives, brine, and salt with lemon. Its palate is dry with medium acidity and deep flavours of grapefruit pith, delicate lemon, brine, olive, and almond. There’s a bakery of freshly risen bread on this elegant example as well. A lingering finish shows off this WSET Very Good wine. This is technically not Sherry as it’s produced next door to Jerez in Montilla Moriles (just inland and east of Jerez on the coast). Yet, it is virtually the same – and is still one of the greatest deals around – this one is only about $25. It takes years to produce, but is so reasonably priced for the effort and costs of storage incurred at the bodegas while aging in the solera system. Serve alongside almonds, olives, Iberian ham or prosciutto, manchego or other sheep’s milk cheeses – stunning. 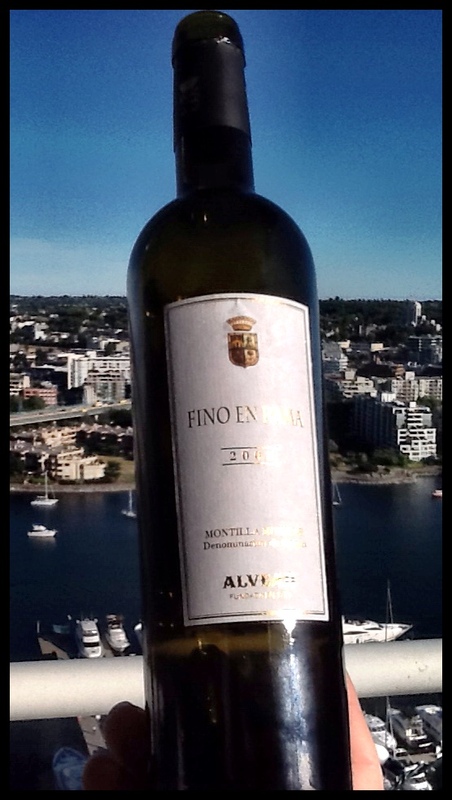 This entry was posted in FORTIFIED WINE, Pedro Ximenez / Pedro Gimenez, Sherry, Spain, WHITE and tagged 15% abv, Alvear, En Rama, Fino, flor, Montilla Moriles DO, sherry, spain. Bookmark the permalink.